Getting perfect strides in the lines when the first jump is either long or deep… I am kind of struggling with this with my new horse. I had some bad experiences and fell off and now I am really worried when it comes to full courses. 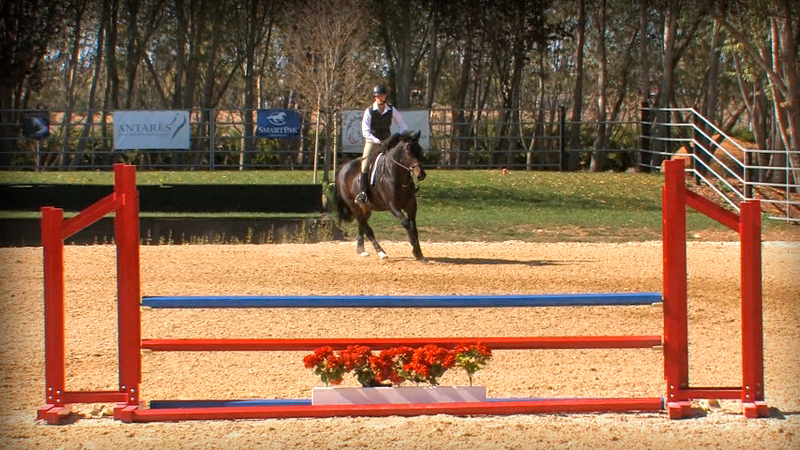 My favorite exercise to get a feel for a horses stride and rhythm is to place two poles on the ground 72′ apart. While this distance is a normal 5 strides if you were jumping two jumps at approximately 3′ in height, it works out to be a nice 6 strides with an educated canter. The goal is to set the pace in the corner that you will need to maintain a consistent stride, then don’t step on the brake or gas as you approach the first rail. 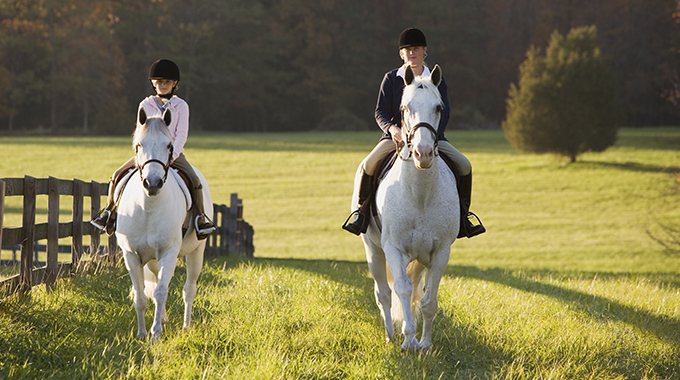 If you meet it in stride, just allow your horse to canter the pole by relaxing the feel on the reins. If he lands heavy, faster, slower, or crooked, fix it! That’s your job, then organize the strides until you arrive at the next pole and can allow him to canter it. Your job is pace and track. Your horse’s job is the jump. Do your job and allow your horse to do his by not interfering! If you meet the first pole a little quiet, then open your step immediately to compensate for lost ground. That way you will meet the next pole in stride. If you jump in a bit long, slow down immediately, that way you will meet the next pole in stride. Practice this exercise off both leads in both directions until you get a real sense of your horse’s stride length and rhythm. 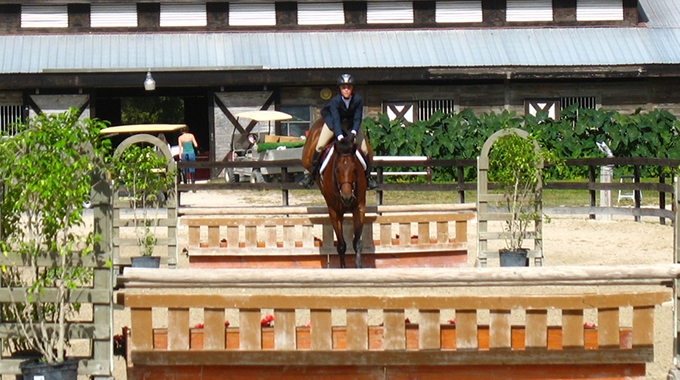 Jumping is quality flat work with some obstacles in the way. If you practice this exercise until you get pretty consistent at fitting the correct strides in, you are training yourself to feel the rhythm and react if things are perfect without worrying about making a mistake that could cause a loss of confidence for you or your horse. Also this exercise doesn’t put wear and tear on your horse’s legs that jumping a ton of jumps would and helps you both focus on the basic fundamentals of riding. Linda Allen provides examples of daily routines to keep your horse healthy, happy, sound and fit.